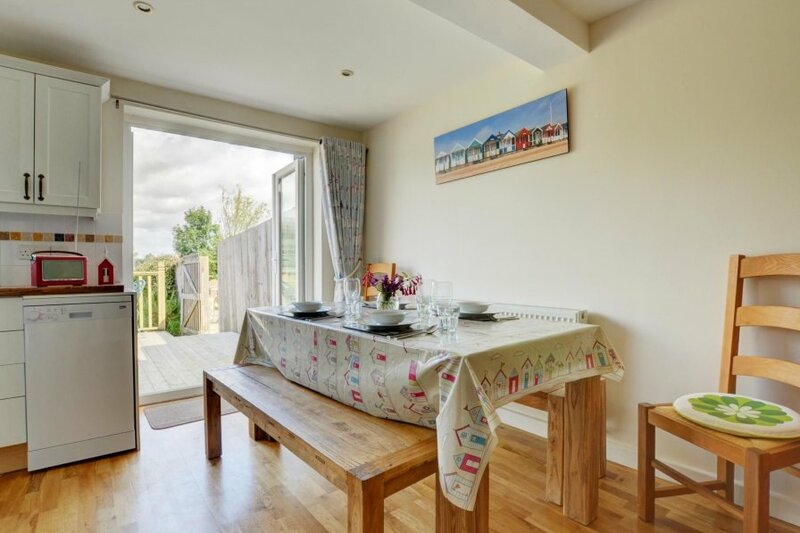 Heather View is a pretty cottage situated in Middleton, a quiet village location near to Westleton and Dunwich. It has good views from the garden and also has three bedrooms making versatile accommodation for families or gatherings with friends. Size: Sleeps 4, 3 bedrooms. Nearest Beach: Less than 5 miles. Rooms: 3 bedrooms, sitting room, kitchen/dining area, utility area, bathroom. Beds: 1 double, 2 single beds. Luxuries: Wi-fi, radio with iPod dock. Utilities: Electric oven/hob, fridge freezer, dishwasher, washing machine. Other: Towels provided, highchair and travel cot available to use. Outdoors: Patio and decking, grassed area. Parking: Off-road for one car.